From routine checkups to major surgery, you can trust Dr. Zabihi and the entire team at Duarte Azusa Animal Hospital to help your pet thrive. We offer a comprehensive range of veterinary services for pets at all stages of life, with the goal of making that life as happy and healthy as possible. Preventative care should begin when your puppy or kitten is just a few weeks of age. Vaccinations are a crucial first step in preventative care, while microchipping can help your lost pet get returned to you. Our team can also prescribe flea, tick, and heartworm preventatives for pets of all ages, as well as annual wellness exams. 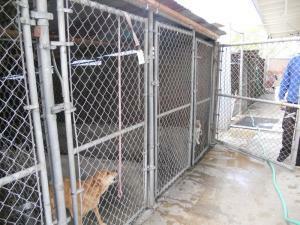 Spay and neuter surgery not only helps control our animal population, it is a wellness procedure. Both spay and neuter services help prevent deadly reproductive cancers. If your pet does develop a health problem, we're ready to help along with our state-of-the-art diagnostic technology. Our in-house radiology and ultrasound services help us gain a quick and accurate understanding of your pet's internal issues. We also perform blood pressure monitoring, lab tests and other diagnostics. Eye pressure monitoring enables us to detect the presence of glaucoma so we are able to administer the appropriate treatment as soon as possible. Our internal medicine services can address disorders of the internal organs or immune system, as well as infectious diseases. If your pet has suffered internal injuries or some other catastrophe, Dr. Zabihi can perform emergency pet surgery. We administer general anesthesia with great care during surgery. Don't forget the importance of pet dentistry. Dogs and cats need healthy teeth and gums -- not just to avoid painful tooth and gum diseases, but also to protect against potentially dangerous bacteria. We clean your pet's teeth and mouth under anesthesia so that your pet remains comfortable and are able to treat any conditions that may arise. Emotional health matters, too -- and behavioral counseling can help. If your pet displays signs of aggression, anxiety, depression, obsessive behavior (such as chasing his tail) or other behavioral disorders, we can evaluate your pet and recommend solutions ranging from training to medication. As pets grow older, their medical needs increase. Age-related illnesses such as heart failure, cataracts, kidney failure, cancer and diabetes need to be monitored carefully and treated conscientiously. We may recommend a more frequent wellness evaluation schedule to help us keep a close eye on your pet's health. Laser therapy is a high-tech way to relieve pain and inflammation without drugs or surgery, making it a great choice for pets with chronic joint or tissue pain. It also speeds cell repair and healing to help pets recover from injuries. Obesity can become a problem in older, less active pets as well. We can provide nutritional counseling to help your pet stay (or become) trim and healthy. Therapeutic class IV laser for arthritis, intervertebral disc disease, soft tissue injury, and post orthopedic surgery treatment. 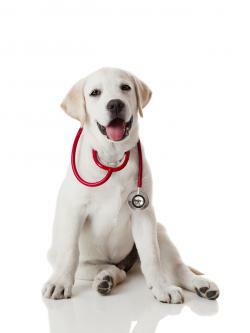 The best way to get familiar with our veterinary services is to schedule an appointment for your pet. Contact us today to schedule an initial appointment!